This unusual yet beautiful domestic table lamp is based on the old fashioned search lights and theater spot lights. 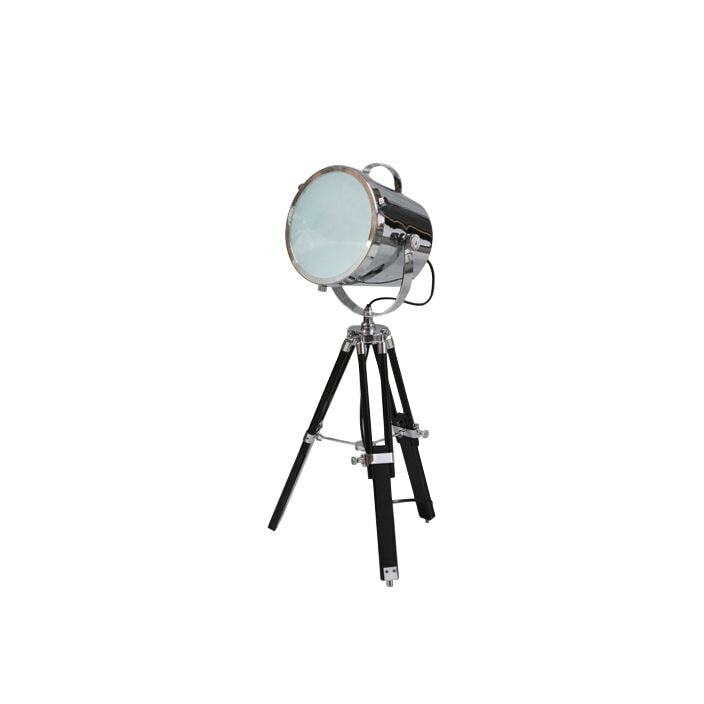 It is attached to a dark black wooden frame with a large chrome light. A perfect piece to add some quirky style in your home.